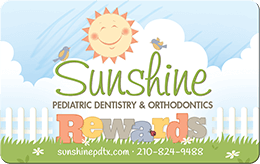 At Sunshine Pediatric Dentistry, we are a team of trusted pediatric dental specialists who take pride in caring for your child’s dental needs. We love helping kids start off on the right path for a lifetime of healthy smiles! 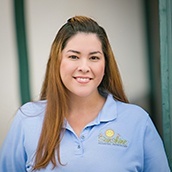 Dr. Joanna Ayala was born and raised in San Antonio. 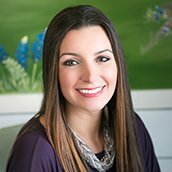 After earning her bachelor’s degree from the University of Texas at San Antonio, Dr. Ayala went on to complete her dental degree at Boston University. Her passion for children inspired her to continue her education at Miami Children’s Hospital, where she earned her specialty certificate in pediatric dentistry. 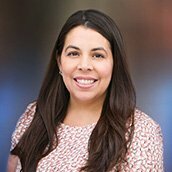 Dr. Handa earned her dental degree from the University of California, Los Angeles (UCLA). During this time, she was involved in various pediatric patient-centered activities, including the Infant Oral Health Care Club, Craniofacial Center at Ronald Reagan Hospital, UCLA. Her dedication and passion for children made her go a step further and she earned her specialty certificate in pediatric dentistry at Nova Southeastern University in Ft. Lauderdale, Florida where she served as the chief resident. Her training covered the full spectrum of behavior management, basic and advanced, which included sedation and hospital dentistry. She also excelled in working with children with autism at the Mailman Segal Center for Human Development as part of her residency. 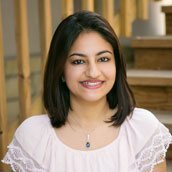 Besides her professional life, she loves art and enjoys spending time with her husband, who is working as a general dentist in San Antonio, and her daughter, Areesha. Dr. Lori Fulk is a board certified specialist in orthodontics. She graduated from Southern Illinois University and then completed her degree at SIU School of Dental Medicine and her master’s degree in orthodontics at St. Louis University. Since moving to San Antonio, Dr. Fulk has been blessed with two sons, Ian and Evan. 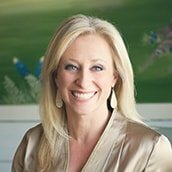 She is looking forward to raising her boys here in Texas as well as serving the community of Alamo Heights and surrounding areas. Emily has been in the dental field for over 14 years. She is very familiar with most insurance plans, so she can help answer any questions about your insurance that you might have. She married her best friend and soulmate, and they have three wonderful children, Briana, Nathaniel, and Jenalisa. They love spending time together as a family, doing everything from Vegas vacations to day trips to the beach. She looks forward to seeing all your little ones soon! Juanita works in the front of the office as a patient coordinator. She has been in the dental field for over 30 years. Juanita loves spending time with her husband, daughters, and grandchildren. She enjoys working with kids of all ages, and she looks forward to meeting your children. 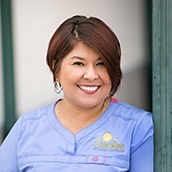 Donna is a graduate of The University of Texas Health Science Center at San Antonio and has over 36 years of experience as a dental hygienist. She has loved working with children for more than 33 years. Her husband, Gary, and her have two grown children. Donna enjoys babysitting her granddaughter, working in the yard, and being an active member at Windcrest United Methodist Church. She looks forward to meeting you and your children. Buenos dias! 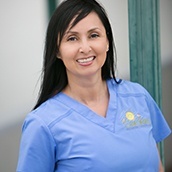 Rose M. Rivas is a registered dental hygienist who is passionate about what she does. She has had the pleasure of working for this office for a little over 6 years. On her off time, she volunteers for the SAYL (San Antonio Youth Literacy) program and is also an active member at her church. The loves of her life are her wonderful, amazing family, and she is grateful for each and every one of them. 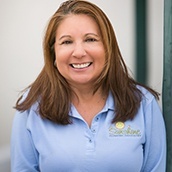 Our awesome team looks forward to meeting you and having you as part of our Sunshine Pediatric family. Be well! 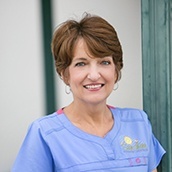 Rebecca (or Becky, as everyone calls her) has been a registered dental assistant for over 16 years. Her certifications include nitrous oxide, radiology, and CPR, and she is also credentialed for hospital dentistry. Raised in Corpus Christi, Becky has called San Antonio home for over 15 years. When not at work, she enjoys spending time with her husband and wonderful kids. Becky looks forward to seeing you and your children’s smiles. Schedule an appointment to meet the team!